Get caffeinated with this 15% off coupon on 12 packs of Starbucks Doubleshot espresso drinks. 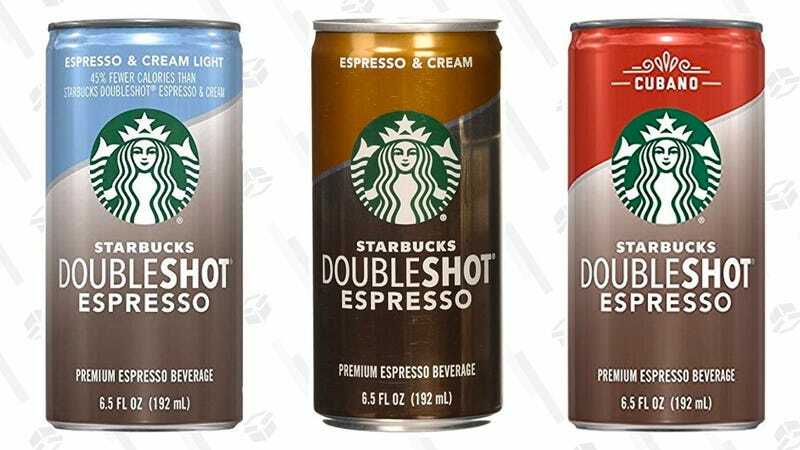 They have two espresso and cream drinks (both light and regular) for about $1 per can after you use the coupon and add Subscribe & Save savings, plus salted caramel and Cubano for a few bucks more. Try finding anything at an actual Starbucks for about $1. Just be sure to cancel your subscription after the first order ships if you don’t want more.